Once you’ve signed up for your first martial arts class, you may begin thinking about everything you need to do before the date of the class arrives. As an adult, you’ve likely encountered many new things in your life, but you may still be nervous about stepping onto the mat for the first time. At ATA Family Martial Arts in Aurora, we love meeting new people and introducing them to the world of taekwondo. As you prepare for your first class, here a few things to keep in mind! All you’ll really need in the way of equipment for your first martial arts class is the proper uniform. 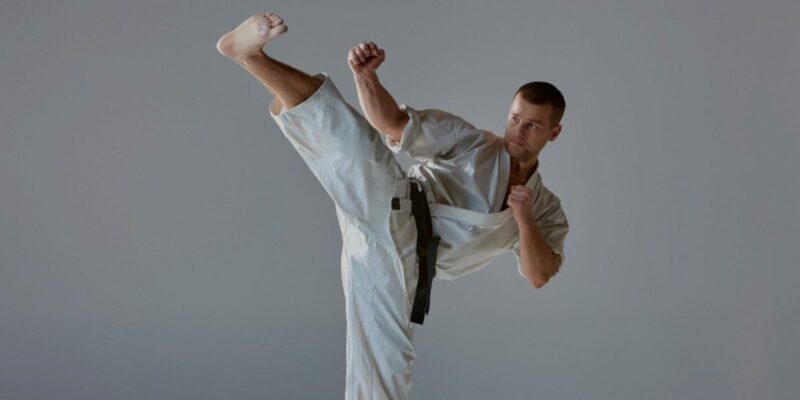 Often called a “dobok” or “gi,” this uniform will be what you wear during every class. You’ll pair it with a white belt, which signifies that you are a beginner. You’ll also be able to earn patches that can be added to your uniform as you progress through your training. Our team will gladly help you choose the appropriate size of uniform before you take your first class. We’ll explain how to put on your uniform and how it is expected to be worn during your training. If you have any other questions, then please don’t hesitate to ask. Martial arts is as much a mental exercise as it is a physical one, and taekwondo will test your constitution and your resolve. You may be used to working out in a gym or going for a run, and you know what it takes to get your mind ready for those forms of exercise. Martial arts will test your mind in new ways as your learn to focus on learning techniques and disciplining your body to react to commands. If you’re nervous about your first class, then that may come through in how you approach the mental aspect of your training. If you feel unsure, then you may move awkwardly or fail to react quickly. This is perfectly acceptable, and it’s important to tell yourself that it’s going to take time to learn something new, and that you may fail time and time again before you get it right. While the primary focus is on discipline and training your body and your mind, martial arts is also supposed to be fun. At ATA, we want to create a fun and safe atmosphere where you can feel like you belong. There’s a very good chance that you’ll make new friends here, and we want you to enjoy training alongside your classmates. No matter how old or young you are, it’s important that you have fun while you train so that you want to come back again and again. As you prepare for your first martial arts class, keep in mind that we are here to help you grow both physically and mentally. While the classes can be challenging, there are goals and benchmarks that you can achieve in terms of belt ranks, strength, and personal fulfillment. If you ever have any concerns, then we are more than happy to help. ©2018 ATA FMA. All rights reserved.